Welcome to the first Friday of August. We are getting closer to fashions favorite season, Fall. But we still of course have the summer whether, so I’ve created a men and women’s denim look that are cool and comfy for these hot summer days. Leslie! Leslie loves her platinum especially with denim, giving it a very calm yet bold look. Leslie is that free spirit that everyone wishes they could be. 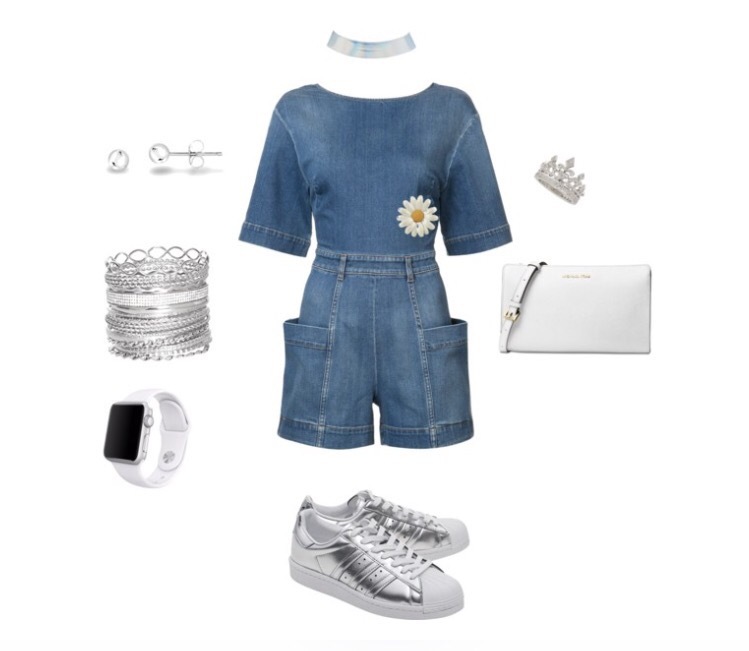 This look is great for brunches, concerts and even a summer gathering with friends and family Leslie features a denim romper with deep pockets, daisy-brooch, platinum choker, superstar metallic sneakers, a white clutch and silver jewelry. Leo! Leo makes denim look like his bestfriend, his favorite color being blue he tries to consider that with every outfit he puts on. Leo is a very simple guy but still loves his gold chains and bracelets. This look it perfect for an outting with friends, datenights or even just to run errands. 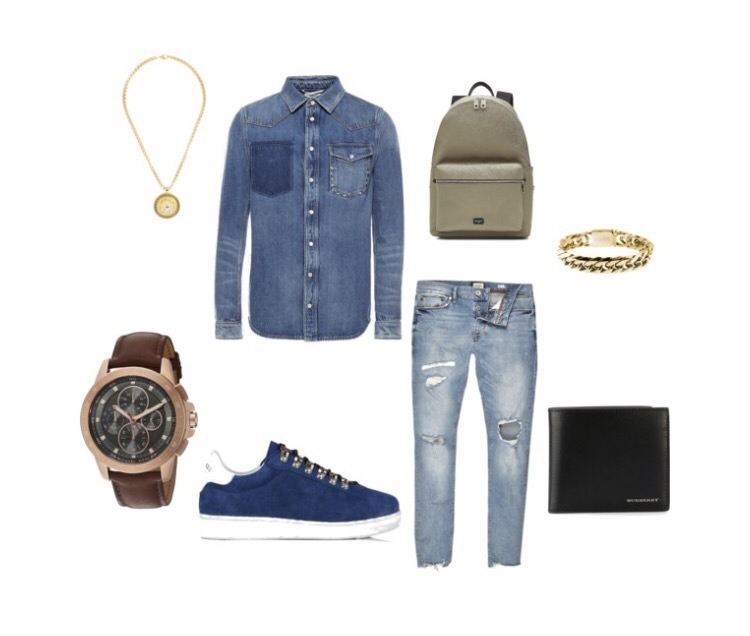 Leo’s look features a studded denim shirt, distressed skinny jeans, blue velvet sneakers, tan back pack, rose gold watch with gold accessories.